Girls have no plans on the weekend, so they decide to travel somewhere using a van... Help them to get ready! Girls enjoy weekend and they have several ways to do that. How about dressing up in something that is out of fashion long time ago? 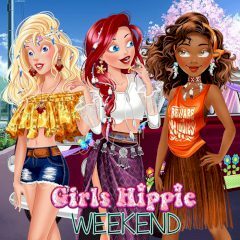 Hippie outfits are here for you!